Three people pleaded guilty recently in the Lucas County Court of Common Pleas in connection with lapsed workers’ compensation coverage, dishonored payments and altering an Ohio Bureau of Workers’ Compensation coverage certificate. Wyse Enterprise Inc. co-owner Tim Wyse, of Toledo (Lucas County), pleaded guilty April 27 to two counts of workers’ compensation fraud, both fifth-degree felonies. Co-owner Felicia Braggs-Wyse, of Toledo (Lucas County), pleaded guilty the same day to passing bad checks, a first-degree misdemeanor. Business secretary Sarah Washtak, of Maumee (Lucas County), pleaded guilty May 11 to workers’ compensation fraud, a first-degree misdemeanor. BWC fraud investigators received two allegations about Wyse Enterprise Inc. The collections department reported that a check written for a premium payment was returned for non-sufficient funds, which caused the employer’s policy to lapse. Agents provided Wyse with instructions on how to reinstate the company’s workers’ compensation policy, but Wyse failed to take steps toward becoming compliant. An allegation that the employer passed a false BWC certificate of coverage was also received. Braggs-Wyse told investigators she generated the dishonored check, and Washtak admitted to falsifying and providing the workers’ compensation coverage certificate to show that her employer had coverage. Wyse was ordered to pay $13,277.59 in restitution and sentenced to three years of community control. Braggs-Wyse was ordered to pay $13,277.59 in restitution and is scheduled for sentencing on June 18. Washtak was not ordered to pay restitution and is scheduled for sentencing on June 25. 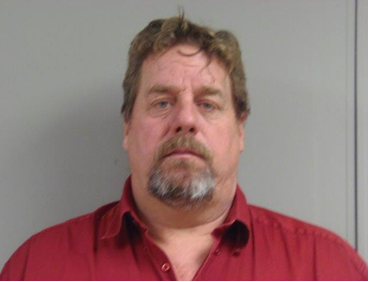 John Melvin, of North Bloomfield (Trumbull County), pleaded guilty May 6 in the Franklin County Court of Common Pleas to one count of theft, a fifth-degree felony. BWC received an anonymous allegation that Melvin was working as a taxi driver for the Amish community while receiving workers’ compensation benefits. Investigators conducted interviews and obtained financial records, and concluded that Melvin collected temporary total and permanent total disability benefits from BWC while working as a self-employed taxi driver. Melvin was sentenced to eight months in prison, which was suspended for five years of community control. He was ordered to pay $23,000 in restitution to BWC as a condition of community control. 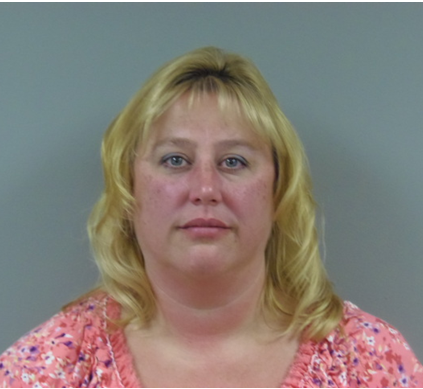 Marla Queen, of Smithville (Wayne County), pleaded guilty and was sentenced May 5 in Franklin County Court of Common Pleas on one count of workers’ compensation fraud, a first-degree misdemeanor. BWC received an allegation that Queen was working while receiving temporary total disability benefits. Claimants are not permitted to work while receiving this type of benefit. Investigators confirmed that Queen worked while receiving $5,039.18 in benefits she was not entitled to receive due to her employment. Queen was ordered to pay full restitution to BWC. She was also sentenced to serve seven days in jail, which was suspended. Queen was also ordered to two years of community control. Columbus – Ohio Bureau of Workers’ Compensation (BWC) Administrator/CEO Steve Buehrer announced today that nine individuals were convicted of, or pleaded guilty to, charges related to defrauding Ohio’s workers’ compensation system in April 2015. These court actions are the result of investigations conducted by BWC’s Special Investigations Department (SID). Gregory Oakes doing business as American Sentry Inc. (Vienna, Trumbull County), pleaded guilty April 28 in the Trumbull County Court of Common Pleas to five fifth-degree felony counts of forgery, six third-degree felony counts of tampering with records, two fourth-degree felony counts of workers’ compensation fraud, two fifth-degree felony counts of workers’ compensation fraud, and one third-degree felony count of theft. In November 2013, SID’s employer fraud team assisted the Ohio State Highway Patrol and Ohio Department of Taxation in executing a search warrant at his home and business. Investigators found multiple BWC coverage certificates for different policies, and later determined that Oakes, owner of American Sentry Inc./Delta Elite Inc., purposely underreported payroll between January 2008 and June 2012. They also found that he altered BWC certificates and created a false certificate as well as provided false information on a BWC Application for Coverage for American Sentry Inc. Oakes was sentenced to serve 90 days in jail and five years of probation. He also paid $54,430 in restitution to BWC. 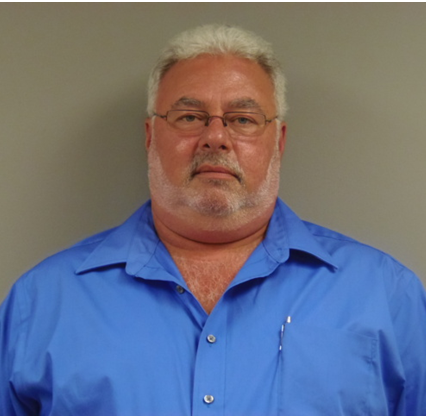 James Van Buskirk (Akron, Summit County) pleaded guilty April 30 in the U.S. District Court in Cleveland to nine felony counts of wire fraud, one count of fraudulently securing Social Security benefits and one count of theft of government funds. Investigators found that Van Buskirk worked as an independent construction contractor for his own business while receiving permanent total disability benefits. Investigators reviewed financial records, and conducted surveillance and interviews. Van Buskirk is scheduled to be sentenced on Aug. 10. Andrea Thomas-Odeh (Dayton, Montgomery County) pleaded guilty April 1 in the Franklin County Court of Common Pleas to one count of theft, a first-degree misdemeanor. A cross match of another state agency’s data showed that Thomas-Odeh may have received wages while collecting BWC benefits. Investigators found that Thomas-Odeh returned to work as a home health aide between May and July 2012 while receiving temporary total disability benefits. Injured workers are not permitted to work while receiving this type of benefit. BWC previously received $1,173.34 in restitution. Thomas-Odeh was sentenced to 60 days in jail, which was suspended under the condition that court costs are paid by July 1. Leona Cramer (Toledo, Lucas County) pleaded guilty April 9 in the Franklin County Court of Common Pleas to one count of workers compensation fraud, a first-degree misdemeanor. SID identified that Cramer was earning wages while collecting BWC benefits. Investigators found Cramer was working while receiving temporary total disability benefits between May and October 2012. Injured workers are not permitted to work while receiving this type of benefit. Cramer was sentenced to serve 180 days in jail, which was suspended for five years of community control. Cramer was also ordered to pay $2,440.28 in restitution to BWC and court costs. Yue Liang doing business as New Sheng Hung (Cleveland, Cuyahoga County) pleaded guilty April 22 to workers compensation fraud, a first-degree misdemeanor. BWC’s employer compliance department and SID attempted to work with Liang, owner of New Sheng Hung, to resolve lapsed coverage. Liang failed to report payroll and pay premiums owed for the food warehouse and food delivery business. He was sentenced to time served and was ordered to pay court costs. He has reported all delinquent payroll to BWC, entered into a reinstatement payment plan and paid $5,315.42 as a deposit. He will pay the remainder of the $20,735.42 owed in restitution during the next year. 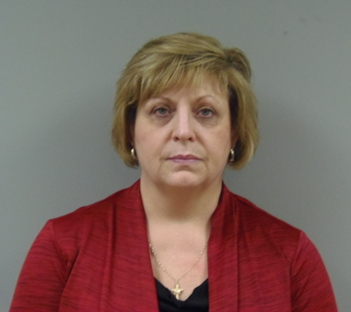 Cora Beach, of Springfield (Clark County), was sentenced April 23 in the Franklin County Court of Common Pleas after previously pleading guilty to one count of workers’ compensation fraud, a fifth-degree felony. SID found that Beach was possibly receiving wages while collecting BWC disability. Investigators found that Beach worked for a Dayton printing company while collecting more than $9,000 in temporary total disability between January and April 2013. Injured workers are not permitted to work while receiving this type of benefit. Beach was sentenced to six months of incarceration, which was suspended, and placed on community control for three years. She was ordered to pay $9,856 in restitution to BWC as well as to maintain employment and pay court costs. Jonathan Achtemeier, of Rockford (Mercer County), pleaded guilty and was sentenced April 16 in the Franklin County Court of Common Pleas on one count of workers’ compensation fraud, a fifth-degree felony. A BWC claims representative suspected that Achtemeier may have returned to work as a truck driver. Investigators found that Achtemeier was employed as a truck driver for an Indiana company between May and August 2013 while collecting temporary total disability benefits from BWC. Injured workers are not permitted to work while receiving this type of benefit. Achtemeier was sentenced to 12 months of incarceration, which was suspended, and placed on one year of community control. He was also ordered to pay $10,517 in restitution to BWC.